The National Legal Research Group was founded in 1969 to provide quality legal research and writing services by attorneys, for attorneys. Since our founding, we have assisted over 50,000 attorneys on over 170,000 projects, including cases related to Alabama legal research. We can assist any size firm, including solo practitioners, large firms, corporate counsel, and more. You can be confident in our work because it will be completed by our expert research attorneys, averaging 25 years of experience each, and specialized by area of law. If you are considering outsourcing your legal research for a case, contact our team today to learn more about how we can help. Our team of attorneys are skilled in both legal research and legal writing. 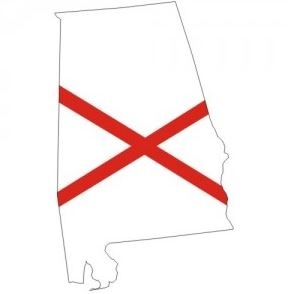 We have completed briefs in every state and federal court, including Alabama state courts. As part of NLRG's legal writing services, we can provide appellate brief writing services for Federal Courts of Appeal, Alabama Courts of Appeal, the Alabama Supreme Court, and the United States Supreme Court. In addition, we can offer you appellate brief compliance review and filing through The Lex Group. To ensure proper compliance and acceptance of your appeal, talk to our attorneys today about how we can help with your case. Our attorneys can help with Memoranda in Support of Motions, Objective Memoranda, Advocacy Memorandum, or Adversarial Memoranda. To help you with your case, we can provide you with objective legal memoranda for case evaluation, trial and appellate preparation, strategic planning, or any other purpose prior to or in support of litigation or transactional analysis. To discuss outsourcing your legal research and writing needs, please complete the form on this page, or call us directly to speak with one of our attorneys. For over 45 years, the National Legal Research Group has been helping our attorney-clients with pleadings in every state and federal court, including Alabama. We can prepare pleadings for complaints, motion in limine, motion to compel, motion to dismiss, motion for summary judgement, motion to strike, and more. In cases ranging from complex multidistrict litigation to relatively simple state court proceedings, our team of attorneys has assisted our clients with the following discovery-related services: deposition summaries, requests for production, motions to compel discovery, requests for admissions, interrogatories, and preparation for depositions. With many cases, the legal document review process can be rather lengthy. Our team of attorneys can help you streamline this process to help you save time, and predict deadlines and upfront costs more accurately. We deliver the highest quality legal document review services to ensure that everything is in order for your case. If you have any questions about this service or the process, please contact us to learn more. If a written product is not required, consider using an email or telephone report to discuss your case in more detail with our attorney team. This can be a more affordable option to gain access to our legal research expertise and analysis of legal issues. For smaller projects or smaller firms, this may be the best option. Before outsourcing your legal research, you have many important factors to consider. While evaluating your decision, take into consideration that the National Legal Research Group is one of the oldest legal research firms, and all of your work will be completed by attorneys averaging over 25 years of experience. In addition, our attorneys graduated from top U.S. law schools, and are specialized by area of law. "I was treated with great interest and courtesy and the work product was first rate... Everything was excellent." "As always, Jeremy Taylor handles my matters professionally and well. He is a great contact and representative of NLRG."